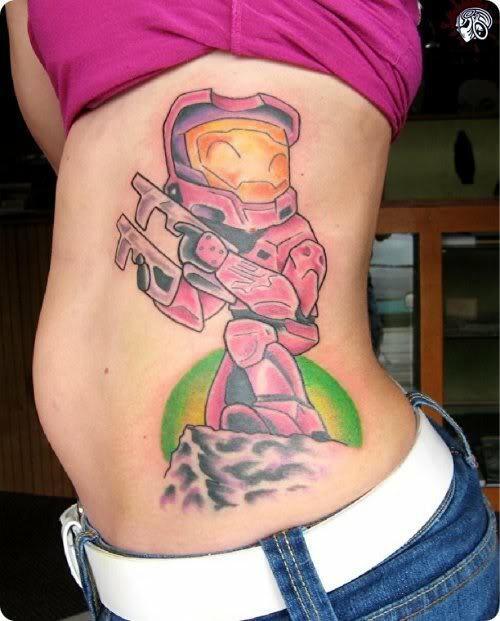 Some Xbox box players like to play Halo. 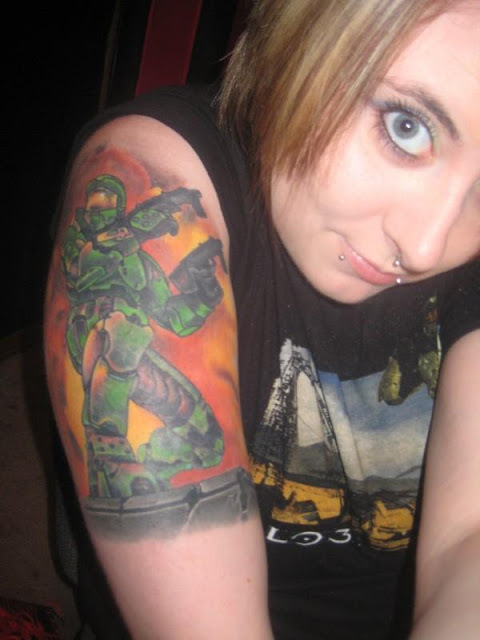 Some Halo fans love to play the game. 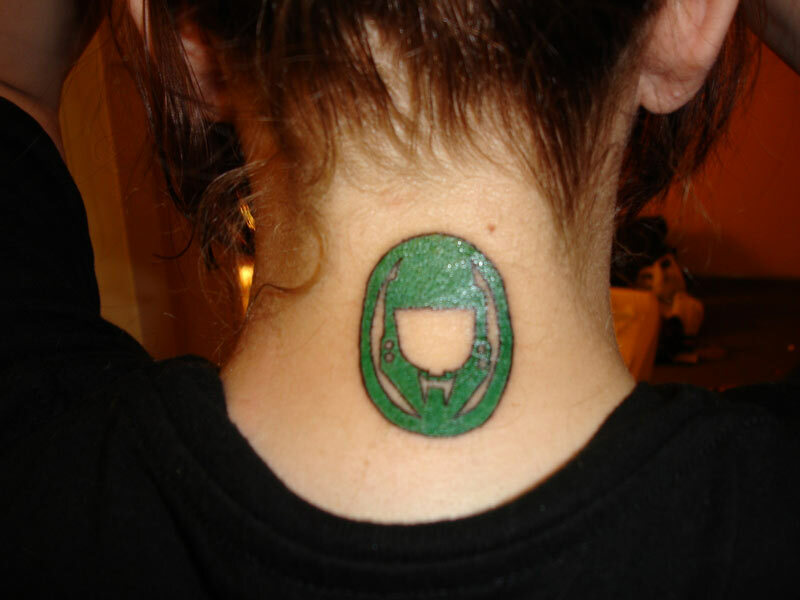 Some Halo fans love the game so much they start up Halo Blogs. 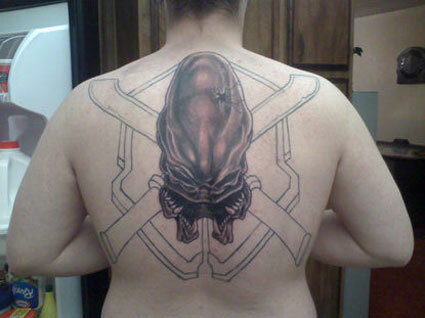 Some Halo fans love Halo so much they get tattoos. 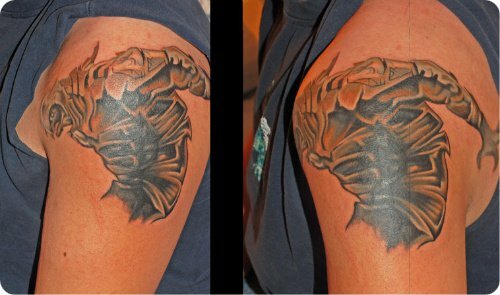 John 117 with guns blazing on this sweet tattoo. 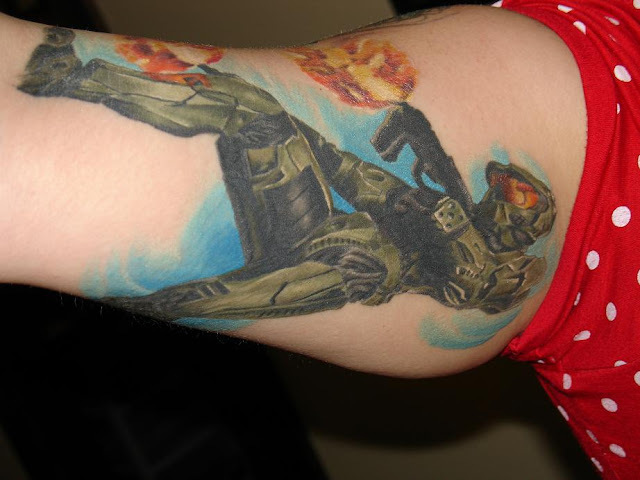 Master Chief Tattoo in the classic Halo 2 pose. 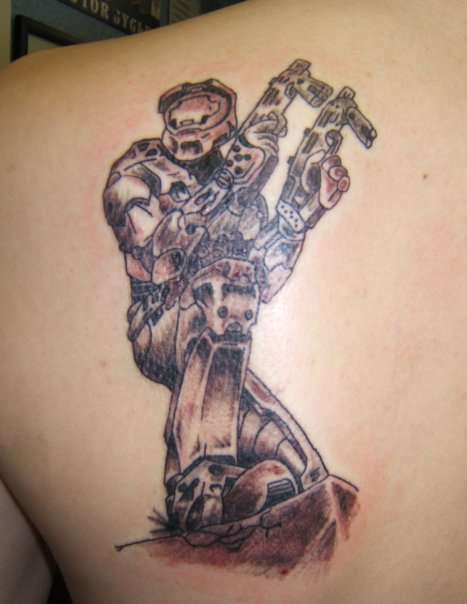 Tattoo of Mr Chief on the back of the neck. Ouch! 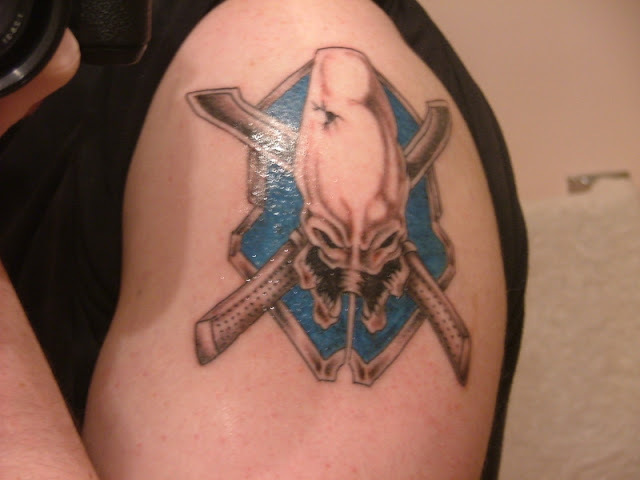 Ever crossed swords with a Halo player?